The Ohio Challenge returns annually to Middletown's Smith Park as one of Butler County's most unique festivals. This high flying festival features over 35 colorful hot air balloons, a laser show, skydiving, fireworks and more! The festival also includes a classic car show, carnival rides, live stage entertainment as well as arts and crafts vendors. 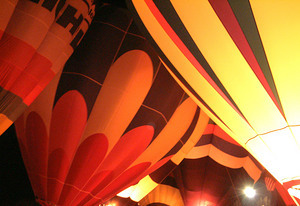 The Ohio Challenge is among only a handful of unique and one-of-a-kind summer balloon festivals in Ohio. Don't miss out on a festival full of picturesque photo ops, family games and activities and the beauty and wonder of aerial art. I-75, Exit 32. Follow the signs to Middetown Regonal Airport. Middletown is mid way between Dayton and Cincinnati.